There is something special and awe-inspiring about watching new land form. This is what is now happening in Hawai’i as its Kīlauea volcano erupts. Lava is reaching the ocean and building land while producing spectacular plumes of steam. These eruptions are hugely important for the creation of new land. But they are also dangerous. Where the lava meets the ocean, corrosive acid mist is produced and glass particles are shattered and flung into the air. Volcanic explosions can also hurl lava blocks hundreds of metres and produce waves of scalding hot water. At Kīlauea, lava is erupting from a line of vents on the volcano’s flanks, and is moving downslope to the edge of the island, where it enters the ocean. This is a process that has been witnessed many times at Hawai’i and other volcanic islands. And it is through many thousands of such eruptions that volcanic islands like Hawai’i form. The new lava being added to Hawai’i by this latest Kīlauea eruption replaces older land that is being lost by erosion, and so prolongs the island’s lifespan. In contrast, older islands to the north-west have no active volcanoes, so they are being eroded by the ocean and will eventually disappear beneath the waves. The opposite is happening to the south-east of Hawai’i, where an underwater volcano (Lōʻihi Seamount) is building the foundations of what will eventually become the next volcanic island in this area. The lava erupting from the current Kīlauea vents has a temperature of roughly 1150 degrees °C, and has a journey of between 4.5km and 5.5km to reach the ocean. As this lava moves swiftly in channels, it loses little heat and so it can enter the ocean at a temperature of over 1000 degrees°C. When lava meets the sea, new land is formed. What happens when lava meets the ocean? We are witnessing one of the most spectacular sights in nature – billowing white plumes of steam (technically water droplets) as hot lava boils seawater. Although these billowing steam clouds appear harmless, they are dangerous because they contain small glass shards (fragmented lava) and acid mist (from seawater). This acid mist known as “laze” (lava haze) can be hot and corrosive. If anyone goes to near it, they can experience breathing difficulties and irritation of their eyes and skin. Apart from the laze, the entry of lava into the ocean is usually a gentle process, and when steam is free to expand and move away, there are no violent steam-driven explosions. But a hidden danger lurks beneath the ocean. The lava entering the sea breaks up into blobs (known as pillows), angular blocks, and smaller fragments of glass that form a steep slope beneath the water. This is called a lava delta. So, the ocean entry points where lava and seawater meet are doubly dangerous, and anyone in the area should pay careful attention to official advice on staying away from them. Pillow Lavas form underneath the ocean. What more can we learn from these eruptions? Once lava deltas have cooled and become stable they represent new land. Studies have revealed that lava deltas have distinctive features, and this has enabled volcanologists to recognise lava deltas in older rocks. Remarkable examples of lava deltas have been discovered near the top of extinct volcanoes (called tuyas) in Iceland and Antarctica. These deltas can only form in water and the only plausible source of this water in this case is melted ice. This means that these volcanoes had melted water-filled holes up to 1.5km deep in ice sheets, which is an astonishing feat. In fact, these lava deltas are the only remaining evidence of long-vanished ice sheets. It is a privilege to see these incredible scenes of lava meeting the ocean. The ongoing eruptions form part of the natural process that enables beautiful volcano islands like Hawai’i to exist. But the creation of new land here can also bring danger to those who get too close, whether it be collapsing lava deltas or acid mist. If any of us still has the slightest doubt that we are facing an ecological crisis on an unprecedented scale, then a new report on land degradation, released this week by the Intergovernmental Science-Policy Platform on Biodiversity and Ecosystem Services (IPBES), provides yet another piece of evidence. Land degradation can take many forms, but always entails a serious disruption of a healthy balance between five key ecosystem functions. These are: food production; fibre provision; microclimate regulation; water retention; and carbon storage. Its impacts can be far-reaching, including loss of soil fertility, destruction of species habitat and biodiversity, soil erosion, and excessive nutrient runoff into lakes. Land degradation also has serious knock-on effects for humans, such as malnutrition, disease, forced migration, cultural damage, and even war. At its worst, land degradation can result in the desertification or abandonment of land (or both). Protracted drought and loss of fertile land may have been contributing factors in the wars in Sudan and Syria. According to the new report, 43% of world populations live in regions affected by land degradation. By 2050, the report estimates, 4 billion people will be living in drylands. These are defined by the United Nations as land with an “aridity ratio” of less than 0.65, meaning that the amount of water lost far outweighs the amount received in precipitation. Such areas are highly vulnerable to food and water insecurity, especially in sub-Saharan Africa and the Middle East. It would be wrong to infer that land degradation is purely a problem for developing countries. Overall, land is generally more degraded in the developed world – as shown, for example, by greater declines in soil organic carbon content, a measure of soil health. However, in richer nations the rate of degradation has slowed, and people in these regions are generally less vulnerable to its effects. It is in sub-Saharan Africa, Asia and South and Central America that the problem is growing most rapidly. But climate change, especially where droughts and forest fires are becoming more frequent, can cause land degradation even in affluent places such as California and Australia. What’s more, a decline in the overall availability of agricultural land is bound to affect food prices globally. By 2050, the report states, humans will have transformed almost every part of the planet, apart from uninhabitable stretches such as deserts, mountains, tundra and polar regions. Perhaps most chillingly, the report predicts that the combined effects of land degradation and climate change will have displaced between 50 million and 700 million people by 2050, potentially triggering conflict over disputed land. Some of this migration will inevitably be across international borders – how much is impossible to tell. While the impacts on migrants are almost always devastating, the ripple effects, as we have seen recently with the Syrian war, can spread far and wide, affecting electoral outcomes, border controls and social security systems throughout the world. The two most significant direct causes of land degradation are the conversion of native vegetation into crop and grazing lands, and unsustainable land-management practices. Other factors include the effects of climate change and loss of land to urbanisation, infrastructure and mining. However, the underlying driver of all these changes is rising per-capita demand from growing populations for protein, fibre and bioenergy. This in turn leads to more demand for land and further encroachment into areas with marginal soils. Market deregulation, which has been a global trend since the 1980s, can lead to the destruction of sustainable land management practices in favour of monocultures, and can encourage a race to the bottom as far as environmental protection is concerned. The vast geographical distance between demand for consumer goods and the land needed to produce them – between, in other words, the cause of land degradation and its effect – makes it much harder to address the problem politically. Sadly, the timid history of attempts to create global governance regimes over the past century – from human rights, to conflict prevention, arms control, social protections and environmental treaties – has seen more failures than successes. On the positive side, success stories in land management are well documented: agroforestry, conservation agriculture, soil fertility management, regeneration and water conservation. In fact, the new report states that the economic case for land restoration is strong, with benefits averaging ten times the costs, even when looking at very different types of lands and communities of flora and fauna. A common feature of many of these success stories is major involvement by indigenous populations and local farmers. And yet these achievements remain far short of the scope of the problem. Significant obstacles remain – including, according to the report, increasing demand for land, lack of awareness of the extent of land degradation, fragmented decision-making within and between countries, and increased costs of restoration as time goes by. On the other hand, the report’s authors emphasise that a host of existing multilateral agreements, including conventions on desertification, climate change, biodiversity and wetlands, provide a strong platform for combating land degradation. However, whether these agreements will be successful in overcoming the obstacles mentioned above remains to be seen. What can we do as citizens, especially those of us who live in cities and have little direct interaction with the land? The most obvious action is to eat less meat and, more generally, to inform ourselves about the sources and impacts of the food we buy – including its packaging, fuel and transport. But the problem is not just about individual choices, important as these are. Underlying systemic causes need to be addressed, including deregulated international trading systems, lack of protection for local communities powerless to resist global market forces, ideologies of unfettered growth and perverse incentives for more consumption. Arguably, what is needed is a broadening of the active scope of national politics, from an almost exclusive concern with short-term economic well-being to the making of global futures. Next time you meet your local representative, ask them what they are doing to protect the interests of your children and grandchildren. Or, even better, inform yourself, talk to others about it, form your own opinion about what should be done, then try to make it happen. 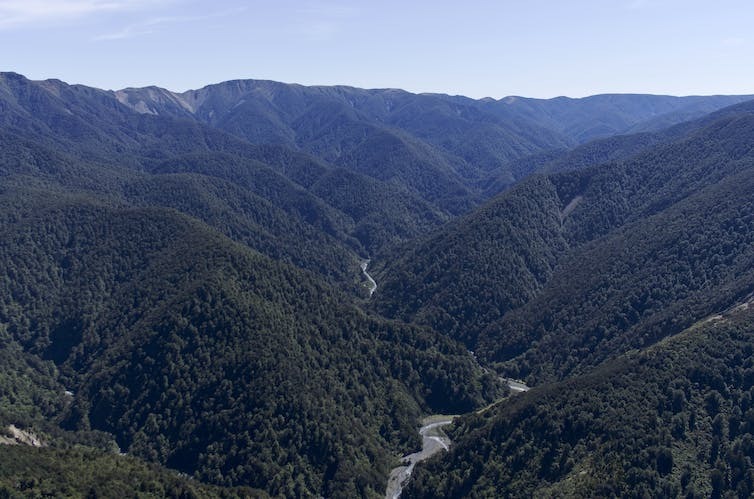 This aerial view shows the catchment of the Makaroro river, in the Ruahine Forest Park. The river was to be dammed for the Ruataniwha irrigation scheme. Earlier this month, New Zealand’s Supreme Court rejected a proposed land swap that would have flooded conservation land for the construction of the country’s largest irrigation dam. 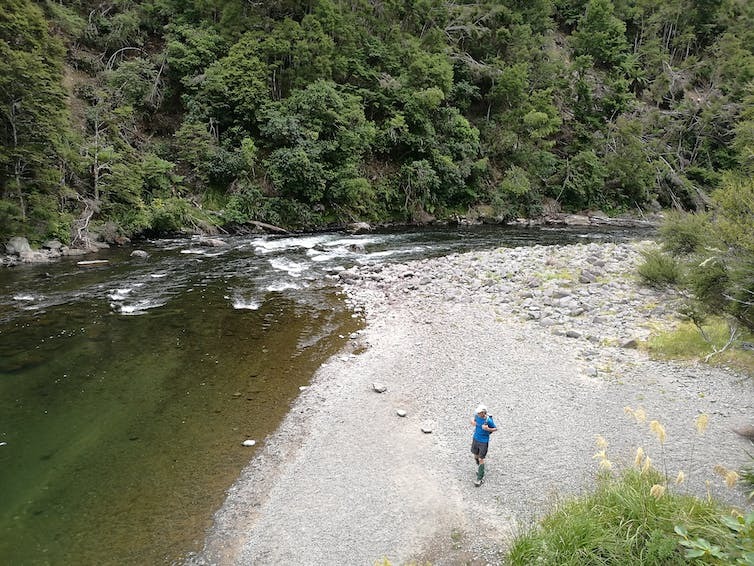 The court was considering whether the Hawke’s Bay Regional Council’s investment arm could build a dam on 22 hectares of the protected Ruahine Forest Park in exchange for 170 hectares of private farm land. The proposed dam is part of the $900 million Ruataniwha water storage and irrigation scheme. The New Zealand government’s response to the ruling was to consider a law change to make land swaps easier. Such a move flies in the face of good governance. The Supreme Court ruling has significant implications for the Ruataniwha dam. In addition, it asserts the importance of permanent protection of high-value conservation land. The ecological value of the Ruahine Forest Park land was never in question. The conservation land includes indigenous forest, a unique braided river and wetlands that would have been destroyed. The area is home to a dozen plants and animals that are classified as threatened or at risk. The developer’s ecological assessment acknowledged the destruction of ecologically significant land and water bodies. However, it argued that mitigation and offsetting would ensure that any effects of habitat loss were at an acceptable level. The Mohaka River also flows through the Hawke’s Bay. New Zealand’s environmental legislation states that adverse effects are to be avoided, remedied or mitigated. However, no priority is given to avoiding adverse effects. Government guidance on offsetting does not require outcomes with no net loss. In Pathways to prosperity, policy analyst Marie Brown argues that offsetting is not always appropriate when the affected biodiversity is vulnerable and irreplaceable. Recent public concern about declining water quality has provided significant momentum to address pollution and over-allocation to irrigation. Similarly, awareness of New Zealand’s loss of indigenous biodiversity is building. These issues were highlighted in this year’s OECD Environmental Performance Review and a report by the Parliamentary Commissioner for the Environment on the parlous state of New Zealand’s native birds. Both issues damage New Zealand’s 100% Pure branding and pose significant risks to tourism and the export food sector. Indigenous ecosystems are a huge draw card to surging numbers of international tourists. Powerful economic arguments have been put forward by business actors, both internationally and in New Zealand. For example, Pure Advantage supports protection of ecosystems and landscapes. Yet, governance mechanisms are limited. Since 2009, environmental protection and conservation have increasingly become major battle lines as the National government doggedly pursues its business growth agenda. This favours short-term economic growth over environmental protection. A key principle behind the Supreme Court decision is that protected conservation land cannot be traded off. It follows a High Court case in which environmental organisations argued unsuccessfully that the transfer of land was unlawful. However, in August 2016, the Court of Appeal ruled against the Director-General of Conservation’s decision to allow the land transfer. It had been supported on the grounds that there would be a net gain to the conservation estate. The court’s ruling said that the intrinsic values of the protected land had been disregarded. The Supreme Court has reinforced the importance of the permanent protection status recognised by the Court of Appeal. In response to the court’s decisions, the government argued that land swaps of protected areas should be allowed. It may seek to amend legislation to facilitate such exchanges. The Supreme Court made reference to section 2 of the Conservation Act 1987. It defines conservation as “the preservation and protection of natural and historic resources for the purpose of maintaining their intrinsic values, providing for their appreciation and recreational enjoyment by the public, and safeguarding the options of future generations”. Section 6 of the act states that the Department of Conservation should “promote the benefits to present and future generations of the conservation of natural and historic resources”. As such, the legislation and the department contribute to what is known as “anticipatory governance”. Anticipatory governance is fundamental to good governance, as Jonathan Boston argues in his recent publication Safeguarding the future: governing in an uncertain world. It requires protecting long-term public interests. Conservation of our unique ecosystems and landscapes protects their intrinsic values and the services they provide. These include tourism benefits and basic needs such as water, soil and the materials that sustain human life. The department has correctly recognised that conservation promotes prosperity. However, long-term prosperity is quite different from the short-term exploitation associated with the government’s business growth agenda. This promotes exploitation in the form of mining on conservation land and increased infrastructure for tourism and other industries, such as the proposed Ruataniwha dam. Amending the Conservation Act to allow land swaps involves a significant discounting of the future in favour of present day citizens. This is disingenuous and an affront to constitutional democracy. It would weaken one of New Zealand’s few anticipatory governance mechanisms at a time when they are needed more than ever. EcoCheck: can the Brigalow Belt bounce back? Our EcoCheck series takes the pulse of some of Australia’s most important ecosystems to find out if they’re in good health or on the wane. Queensland’s Brigalow Belt is among Australia’s most significant biodiversity hotspots. Extending over an area of 36.4 million hectares from Townsville down into New South Wales, it was famously where the explorer Ludwig Leichhardt travelled, prickly pear was vanquished, and the now-extinct paradise parrot once lived. Although the region contains diverse ecosystems, from dry vine scrub to grasslands, it is named after the species of tree that once dominated: the brigalow (Acacia harpophylla). This unusual, long-lived acacia with its dark, fissured bark and distinctive silver leaves forms dense woodlands, home to unique and threatened plants and animals. Before clearing, brigalow-dominated ecological communities covered an estimated 7.5 million ha within the Brigalow bioregion. But those vast brigalow woodlands are no longer here. Since the arrival of Europeans in the 1850s, 90% of brigalow forest has been cleared. Brigalow grows on fertile, cracking clay soils – the same soils needed for agriculture. Only 790,000 ha of brigalow ecosystems remain – just over 10% of the original extent. Sixteen out of 22 ecosystems where brigalow is the dominant or co-dominant species have less than 10% left – and even those are under threat. Clearing of brigalow for crops and pasture began soon after European settlement. Initially, the task of turning the Brigalow into a breadbasket turned out to be more challenging than the settlers expected. Brigalow trees have a well-developed lateral root system. If the tree or roots are damaged, dense “suckers” spring up. This growth stage can last for 20-30 years and is followed by a “whipstick” stage lasting another 20-30 years before mature forest is formed. This habit made permanent removal very difficult, as suckers can occur at a density of 20,000 stems per hectare. Agricultural development was also delayed by the invasion by prickly pear. Between 1901 and 1925, these spiky American cacti spread across 24 million ha of Queensland and NSW. Communities and governments despaired of being able to control this weed, but by 1932 a biological control agent, the Cactoblastis moth, had almost completely destroyed prickly pear. It was not until the 1960s – and a “perfect storm” of mechanised land clearing, favourable government policies, scientific research into brigalow control, and a push for agricultural development – that clearing could occur on a grand scale. Once the problem was cracked, clearing rates soared. At times, rates equalled those in tropical forest regions such as the Amazon and Southeast Asia. 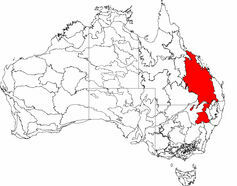 Today, the Brigalow Belt is a precious, but threatened, reservoir of endemic diversity. Brigalow woodland is nationally endangered, with severe consequences for the animals of the Brigalow Belt. Four species, including the paradise parrot, are extinct. Another 17 are on the threatened species list in either NSW or Queensland. 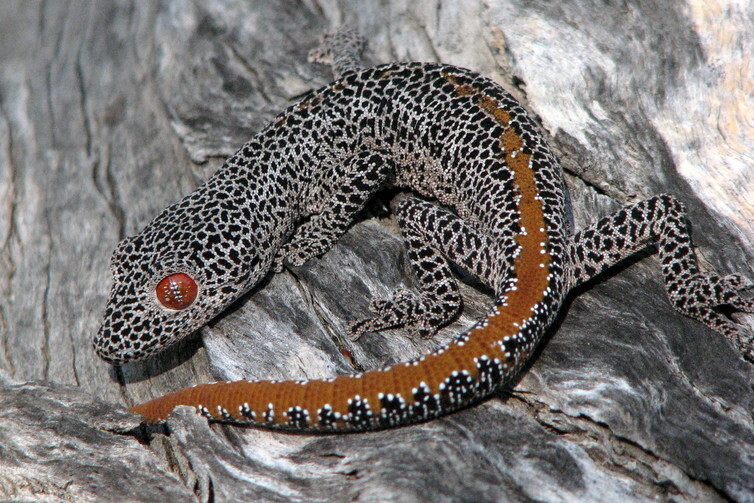 The Brigalow Belt is home to the threatened golden-tailed gecko. Remaining patches of brigalow are often modified by the removal of understorey shrubs and fallen timber. 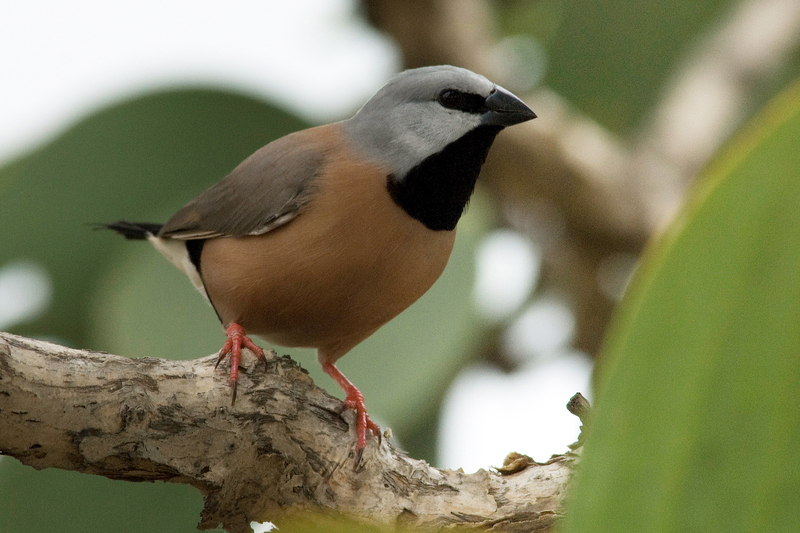 This affects habitat structure for reptiles and woodland birds in particular, reducing population sizes and encouraging aggressive competitors such as the noisy miner. Many exotic species have been introduced, including pasture grasses. The most widespread of these is buffel grass, which has been a boon for pastoralists. Unfortunately, its invasion of remnant brigalow and contribution to fuelling bushfires has had dramatic effects on plant and animal biodiversity. 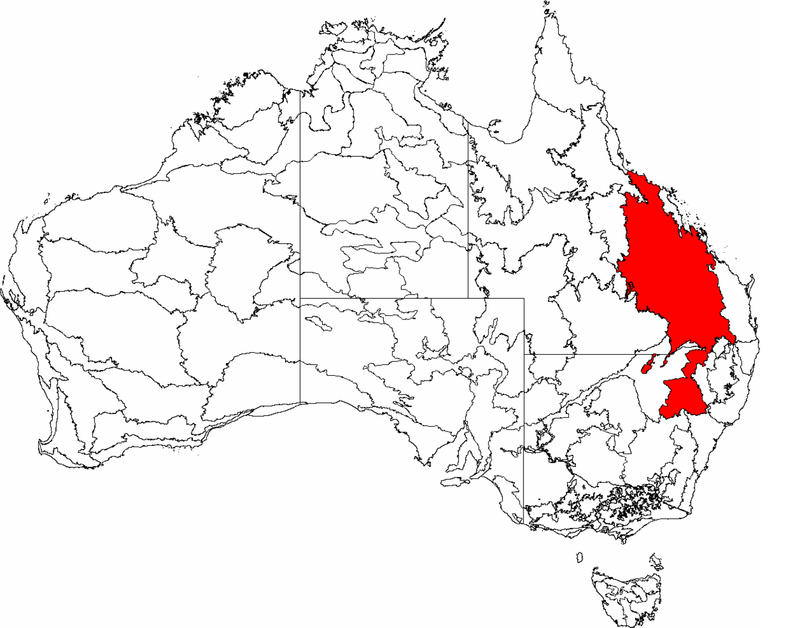 The Brigalow Belt is also home to 13 reptile species that are found only in this region, and another 14 for which the region is their main home. 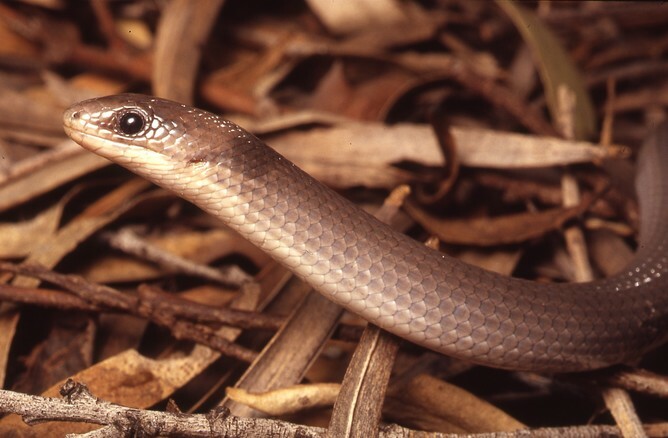 Eleven of the 148 reptile species found in the Brigalow Belt are threatened. But the very suckering habit that made brigalow trees so difficult to clear in the early days may now be its salvation. Although brigalow regrowth is initially very different from old-growth woodland, if it is allowed to persist, the vegetation structure becomes more and more complex and diverse. After 30-50 years, mature regrowth can support as many bird species as old-growth woodland. 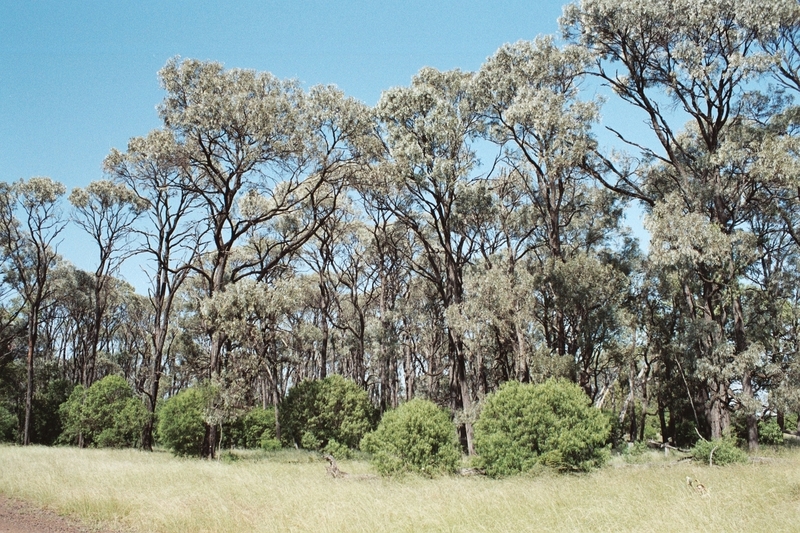 Only 1% of the remaining brigalow woodland is in protected areas. The rest is highly fragmented, existing mainly as tiny patches, linear strips along roads and fence lines, and areas of regrowth. Land-use change for agriculture, coal mining and coal seam gas extraction continues to nibble away at remaining brigalow ecosystems, despite protection by state and federal laws. 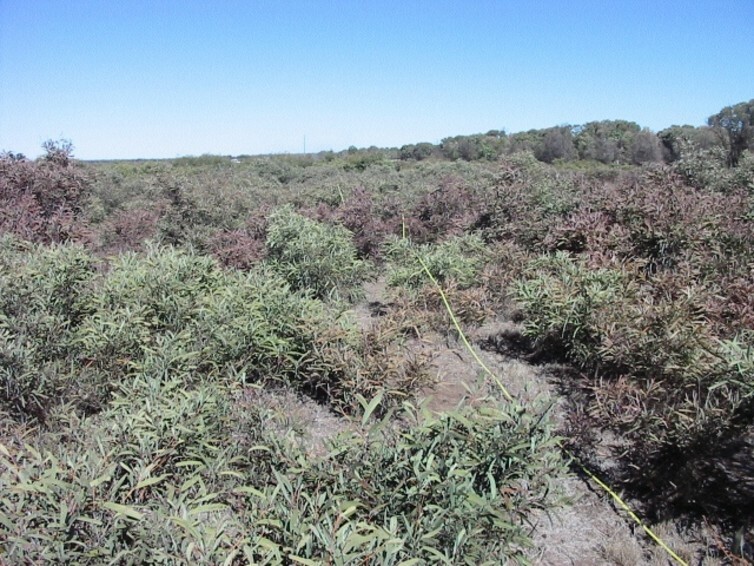 In 2013-14, 44% of all woody vegetation clearing in Queensland occurred in the Brigalow Belt. Legislation controlling most broadscale clearing of remnant native vegetation was introduced through the Queensland Vegetation Management Act 1999. This phased out clearing of remnant vegetation by December 2006. In 2008, recognising that the only way to recover threatened ecosystems like brigalow forest was to increase their extent, mature “high-value” regrowth of threatened ecosystems was also protected. But in 2013 came a setback, with the introduction of the Vegetation Management Framework Amendment Act 2013, which allowed for much more vegetation clearing and removed the protections for high-value regrowth. Laws to reinstate those protections are before the Queensland Parliament. The opportunity to recover the brigalow will not last forever. With repeated clearing, burning and cultivation, these forests could eventually disappear for good. But in those areas where some resilient regrowth remains, there is potential for recovery. In 2009, there was an estimated 7,226 square km of regrowth, comprising a range of structures from juvenile bushes (aged 5-10 years) to almost mature stands (aged 30-50 years). This regrowth provides a promising and cost-effective way to increase habitat area for both fauna and flora, and reduce their risk of extinction. To do this, however, we need to find ways to make retention of brigalow regrowth attractive and valuable to landholders, through stewardship schemes or carbon offsets. Only then might the Brigalow Belt bounce back. Are you a researcher who studies an iconic Australian ecosystem and would like to give it an EcoCheck? Get in touch. Land clearing has returned to Queensland in a big way. After we expressed concern that policy changes since 2012 would lead to a resurgence in clearing of native vegetation, this outcome was confirmed by government figures released late last year. It is now clear that land clearing is accelerating in Queensland. The new data confirm that 296,000 hectares of bushland was cleared in 2013-14 – three times as much as in 2008-09 – mainly for conversion to pastures. These losses do not include the well-publicised clearing permitted by the government of nearly 900 square kilometres at two properties, Olive Vale and Strathmore, which commenced in 2015. 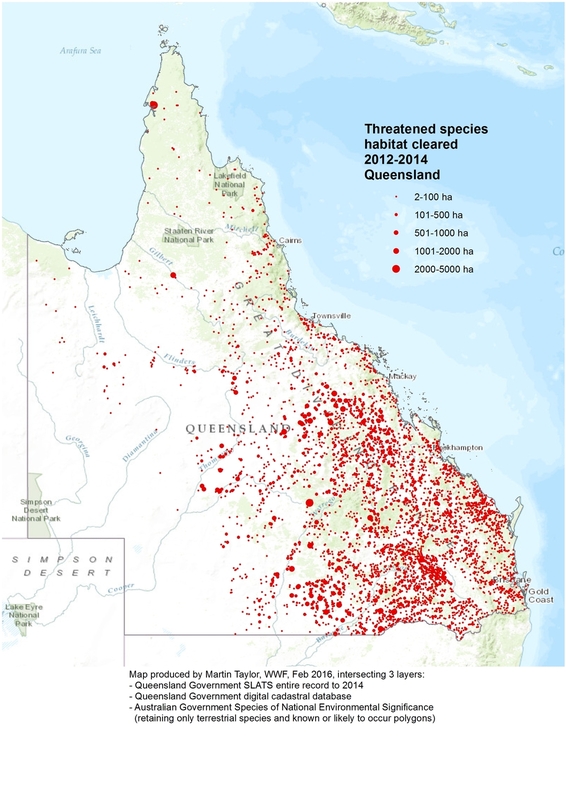 Map showing the amount of habitat for threatened species cleared between 2012 and 2014. Alarmingly, the data show that clearing in catchments that drain onto the Great Barrier Reef increased dramatically, and constituted 35% of total clearing across Queensland in 2013-14. The loss of native vegetation cover in such regions is one of the major drivers of the deteriorating water quality in the reef’s lagoon, which threatens seagrass, coral reefs, and other marine ecosystems. The increases in land clearing are across the board. They include losses of over 100,000 hectares of old-growth habitats, as well as the destruction of “high-value regrowth” – the advanced regeneration of endangered ecosystems. These ecosystems have already been reduced to less than 10% of their original extent, and their recovery relies on allowing this regrowth to mature. Alarmingly, our analysis of where the recent clearing has occurred reveals that even “of concern” and “endangered” remnant ecosystems are being lost at much higher rates now than before. 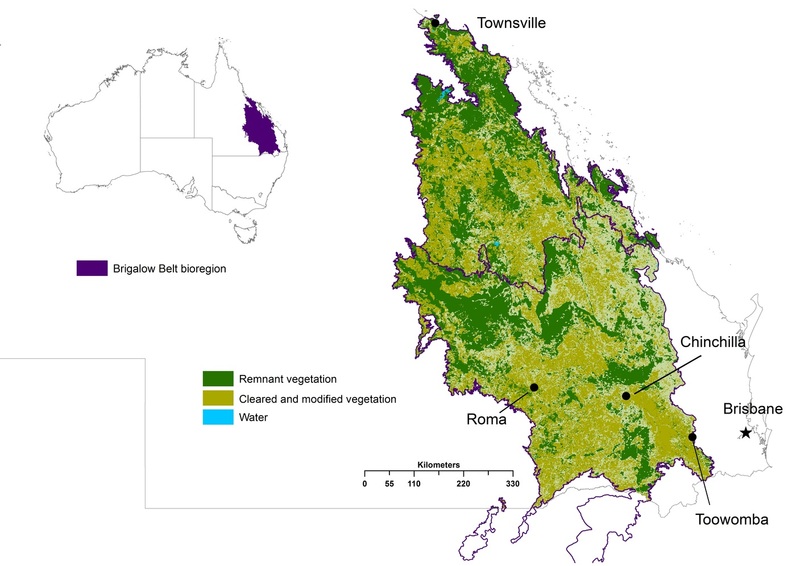 While this level of vegetation loss and damage continues apace, Australia’s environmental programs will fall well short of achieving their aims. Nutrient and sediment runoff, exacerbated by land clearing, is one of the major ongoing threats to the Great Barrier Reef. Land clearing affects all Australians, not just Queenslanders. Australia spends hundreds of millions of dollars each year trying to redress past environmental damage from land clearing. Tens of thousands of volunteers dedicate their time, money and land to the effort. But despite undeniable local benefits of such programs, their contribution to national environmental goals is undone, sometimes many times over, by the damage being done in Queensland. Take the federal government’s 20 million trees program. At a cost of A$50 million, it aims to replace 20 million trees by 2020 to redress some of the damage from past land clearing. Yet just one year of increased land clearing in Queensland has already removed many more trees than will be painstakingly planted during the entire program. The Australian government’s Emissions Reduction Fund (ERF) is paying billions of dollars to reduce carbon emissions from industry. But the carbon released from Queensland’s land clearing in 2012-2014 alone is estimated at 63 million tonnes, far more than was purchased under the first round of the ERF (at a cost to taxpayers of A$660 million). Species cannot recover if their habitat is being destroyed faster than it is being restored. But under Caring for our Country and Biodiversity Fund grants, the extent of tree planting to restore habitat across Australia reported since 2013 is just over 42,000 hectares – an order of magnitude less than what was cleared in Queensland alone in just two years. And it will be many decades before these new plantings will provide anything like the environmental benefits of mature native vegetation. 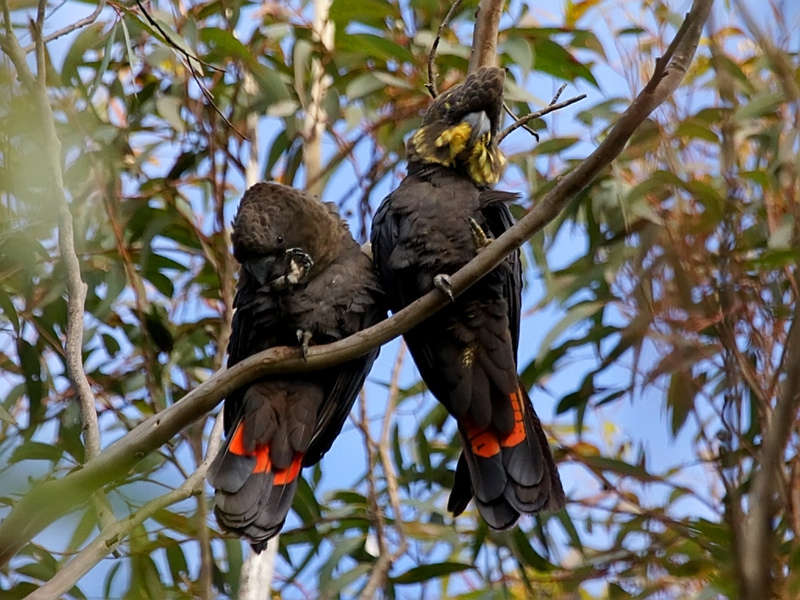 Glossy black-cockatoos are one of the species threatened by Queensland land clearing. 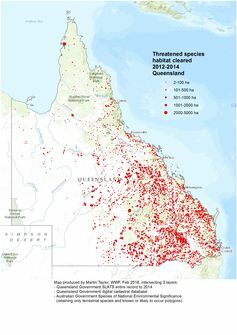 Land clearing between 2012 and 2014 in Queensland is estimated to have wiped out more than 40,000 hectares of koala habitat, as well as habitat for over 200 other threatened species. Clearing, along with drought (which is also made worse by clearing), is the major cause of an 50% decline in koalas of south-west and central Queensland since 1996. The loss of remnant habitat, especially from forests along waterways, means more habitat fragmentation. This is a further threat to many species of wildlife, and it hampers our ability to adapt to a rapidly changing climate. 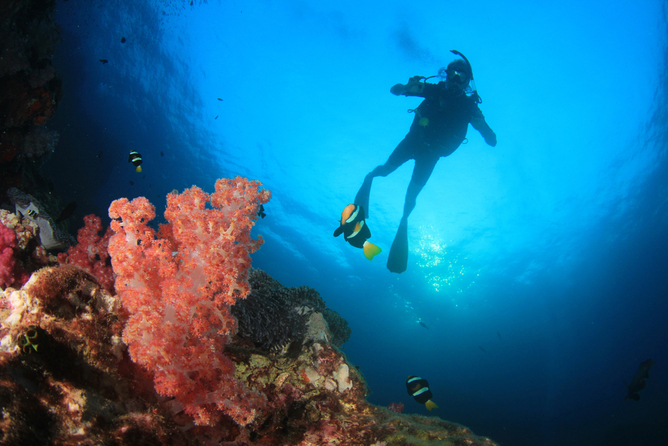 The federal government has committed hundreds of millions of dollars to improve reef water quality. Yet ongoing land clearing in reef-draining catchments will reverse many of the gains these programs aim to achieve. Last year, Queensland’s Auditor-General reported that stronger legislation would be essential to reducing harmful catchment runoff to the Great Barrier Reef. We live in an era of tightening carbon budgets, declining land-production capacity and rapidly deteriorating biodiversity, including in iconic places such as Great Barrier Reef. The evidence is clear that we cannot continue to degrade our environment without severe consequences. It is far more efficient to prevent environmental damage than to try to reverse it later. 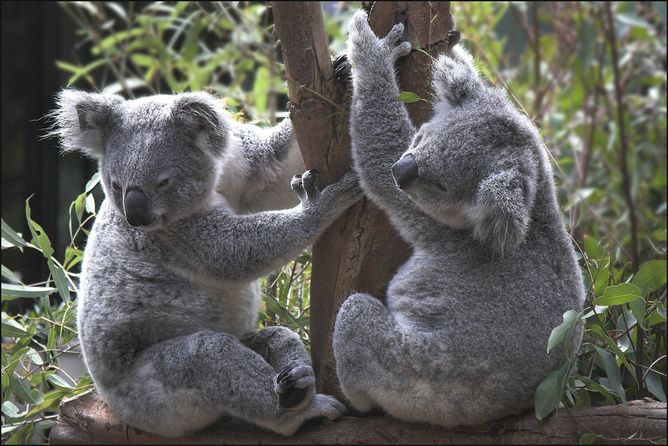 Koalas have declined 50% in Queensland over the past 15-20 years. For example, the cost of stabilising river-banks following deforestation can range from A$16,000 to A$5 million per kilometre. Natural ecosystems contribute enormously to the economy in ways that are often unrecognised. We are running up a large environmental debt that will eventually have to be paid by all Australians, one way or another. And some damage, like the loss of a species, is irreversible. Previous native vegetation laws had successfully reduced land clearing, but were reversed in 2013 by the former Newman government. The current Palaszczuk government in Queensland has repeated its election promise to re-strengthen native vegetation protections. The amendment bill is due to be introduced to parliament within weeks. But the minority government relies on the votes of cross-benchers to pass its legislation–so for now, the future of some of Australia’s most precious environmental assets remains uncertain.